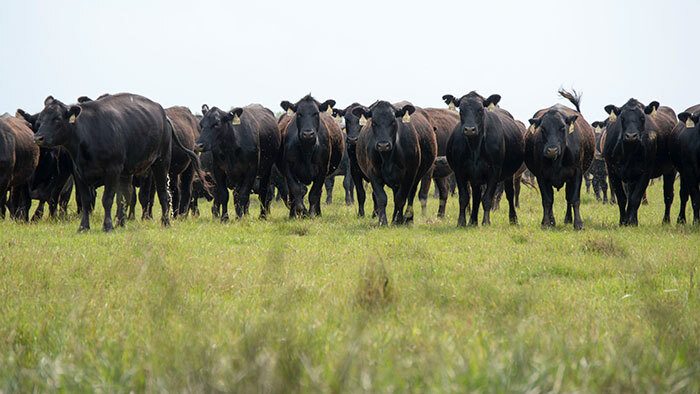 Count Missouri among those states experiencing drought conditions, and beef producers there are being forced to make decisions about their cattle and grazing forages. Craig Roberts, professor and extension agronomy program director at the University of Missouri, explains why producers have to make these decisions in a recent University of Missouri Extension press release. According to Roberts, their forage shortage is the residual effect of a dry fall in 2017. Since 2017 pastures and hay harvests were low, producers turned cattle out onto pastures this spring when baled hay ran out. Pasture plants had yet to grow many leaves. Winter overgrazing only compounded the problem with cattle eating the tillers that were needed for regrowth. “Many hayfields came up 75 percent below normal,” says Roberts. The grass that did grow this spring is mostly seed stalks with little leaves. Tall Fescue hay, when baled, can serve as low-energy fiber but might also be toxic. “This is a year for ammoniation,” states Roberts. Ammoniation is a process that releases digestible nutrients while also lowering possible toxins found in fescue hay. Stacks of low-quality hay are covered in plastic, and then anhydrous ammonia is leaked into the sack. The gaseous nitrogen breaks down cell wall fiber over time. Some producers have even considered cutting small shrubs and baling them to use as a forage. Roberts notes that this practice will definitely need ammoniation, and producers must to be careful of poisonous plants. Hail-damaged crops from recent storms are also being considered for baleage. These crops need to be tested for nitrate content. Eric Bailey, beef extension specialist at the University of Missouri, offered a different option for dealing with this forage shortage. “One way to match cows’ needs to available grass is to sell cows,” says Bailey. Bailey advises to give careful consideration as to which cows go first. “The first cut is simple,” states Bailey. “Sell cows not pregnant or nursing. There is no feed for freeloaders when forage is short,” Bailey adds. Next, cull cows with limitations such as bad disposition, eyes, feet, or udders. Bailey reminds that the goal is to keep the best genetics in the herd for as long as possible until the lack of water or feed forces a change. Beyond culling cows, early weaning and selling of calves can also cut the demand for feed. While this can hinder annual income, it supplies the quick cash needed to purchase feed. Bailey also suggests the strategy of splitting the herd into young and old females and selling one of the groups. While the two- to four-year-olds have the superior genetics, older cows are more adapted to the farm’s management. No matter how culling decisions are made, keep the availability of forage for summer, fall, and winter in mind. On average, two-thirds of forage yield is from spring growth while the other third comes from fall growth. This fall growth supplies the winter stockpile. Bailey warns that even if rain does return, forage yields will likely be below normal. “A big long-term problem will be winter feed,” Bailey says. To help with this problem, Bailey advises to initially make a 25 percent reduction when down stocking the herd. Consider another 25 percent later if normal rains don’t return. “A 50 percent cut ahead of fall forage growth may allow stockpiling pastures for winter grazing,” Bailey explains. While this does cut feed buying, it really depends on the return of rain. Bailey also reminds that the producers who last the longest in the cow-calf industry are not those who make the most money in the good years instead, it’s those who lose the least in the bad years.